After the success of our first ever Garden Party in October 2015, a small group of people from the Brussels network has been working on the development of our collective “garden” and would now like to invite the Brussels community to a Project Fair on the 2nd of March 2015 afternoon to the Flemish Cultural Centre Elzenhof, 12 avenue de la Couronne 1050 Ixelles. This gathering is meant to strengthen the network by allowing members to present their 2016 projects and activities and by encouraging them to work together, share good practices and start new collaborations. Projects presented will allow for cooperation in the spirit of using “cooperation to overcome competition” and initiate sustainable collaborative projects. The Brussels group of Citzens For Europe is a dedicated group of you activists from European Movement International (EMI), European Citizen Action Service (ECAS), Young Leaders Europe (YEL), European Digital Rights (EDRI), Institut des Hautes Études des communications Sociales (IHECS), and many more. 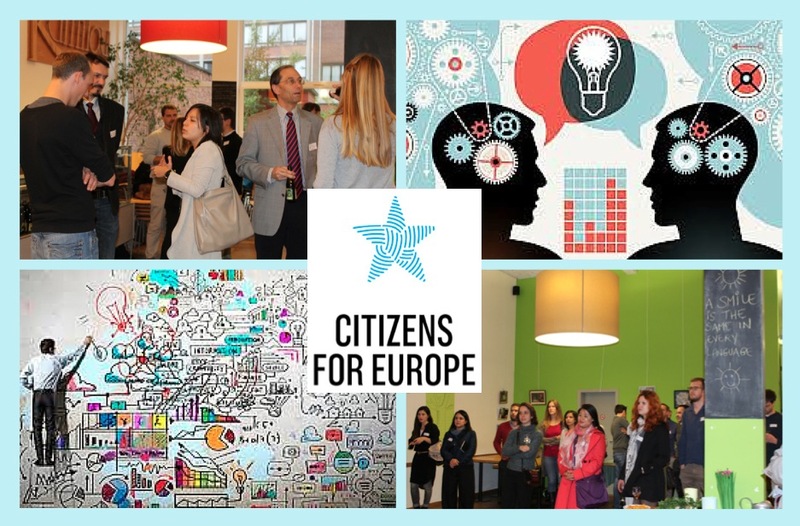 Citizens For Europe provides a structure for this community to develop at its own pace with its own goals. If you want to take part in forming the Brussels community, please write a quick e-mail to Christian Miess (contact@citizensforeurope.eu). He will forward your question or idea to the team.